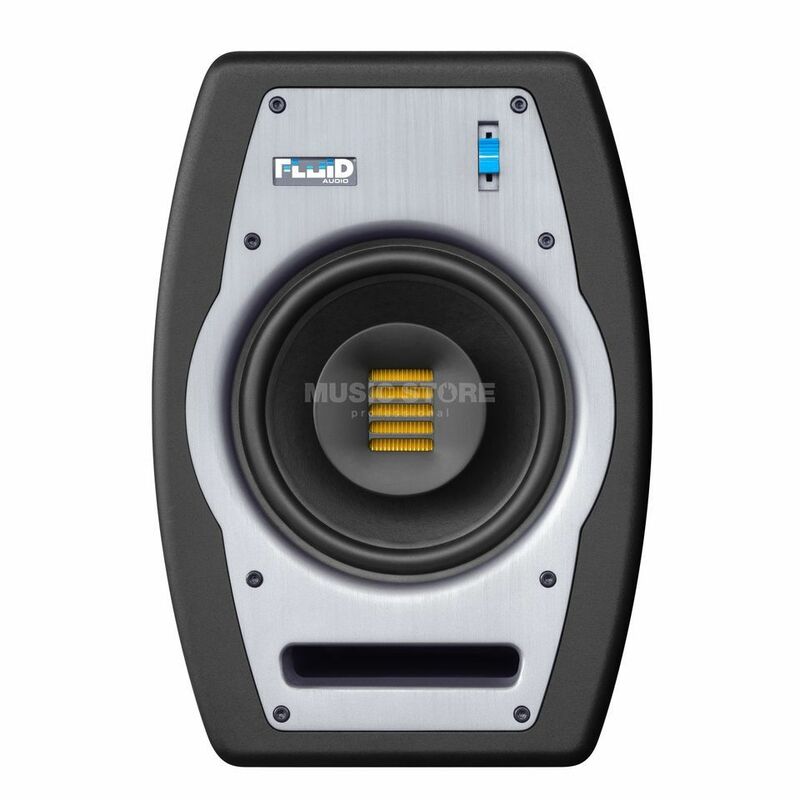 The Fluid Audio FPX7 DSP Active Studio Monitor builds on the acclaimed success of the Fader Series studio monitors. They deliver a seamless, transparent response in a compact footprint. With shorting ring magnet woofers, ribbon tweeter and class AB amplifiers, the FPX7 DSP delivers a truer, more accurate monitoring experience. The AMT (air motion transformer) ribbon tweeters provide a large amount of clarity and depth that's not usually seen on monitors of this price range. The specially designed dual concentric driver, also known as 'Coaxial', is the first of its kind in a studio monitor, and has a large advantage over most. All the frequencies are coming from the same exact position. This is key for accurate off-axis response as well as phase coherence, and with the built-in waveguide, the FPX7 provides a wide dispersion and an expansive sweet spot.